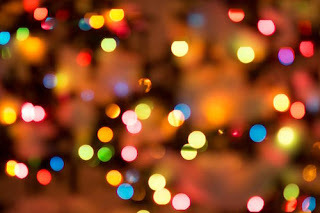 The twinkling lights, the joyful music, the seasonal scents. The clichéd, but inevitable and very real hustle and bustle of the season. The gatherings, the shopping, the wrapping. The menus, the lists, the crowds. Amid these things, we still find our way to the manger; but, mankind being an easily distracted creature, it is there that we stop. We take a snapshot of this familiar scene—Mary, Joseph, the Christ child, the angels, the shepherds, and a few well-placed animals—and we place it on our mantle as if it tells the totality of the tale, but for all of its miraculous glory, it is not the full story. Man, though curious by nature, seems content to leave this Christmas story half-finished. Perhaps it is because the next few chapters do not easily harmonize with the gaiety that man has manufactured for the season. Yet, though our Savior first became man as a seemingly helpless infant, and though, if the story had stopped there, we would have reason to praise our great God, in truth and in spite of our undeserving state, there is far more to this story than a star and a stable. Jesus Christ grew into a boy who sought and served His Heavenly Father. And He said to them, “Why is it that you were looking for Me? Did you not know that I had to be in My Father’s house?” But they did not understand the statement which He had made to them. And He went down with them and came to Nazareth, and He continued in subjection to them; and His mother treasured all these things in her heart. He grew into a man who did the same. And when He became a man, He faced great crowds, though they were not the crowds that we encounter in the department store the day before Christmas. These crowds no doubt clamored and pushed and hollered, but they did not do so in an attempt to steal from Him the load He bore. In more ways than one, they did not seek to possess the gift that He carried. Indeed, they did not understand and they could not understand the gift He had come to give. It was bloodstained and rough, heavy and cumbersome. Though it brought temporary death, it was in reality life, and this God-man, Jesus, continued to fulfill the will of His Father. The Christmas card nativity we display amid evergreens and holly is beautiful and serene, but it is only the first chapter of the full Christmas story. Still, we hesitate to turn the page—at least until the season has passed—for fear of staining our Christmas crimson with the blood of this newborn babe who would one day offer Himself as an atoning sacrifice for sinners. Even that sacrifice is not the final chapter, however, for three days later, when Christ rose from the dead, the Father's acceptance of His sacrifice was confirmed and the gifts of salvation and eternal life were realized. Now, because He lives, men who repent and trust in Him alone for salvation shall never die. And yet, even this is not the closing line of the "Christmas story." No, those final paragraphs, though written in eternity past, have yet to be fulfilled in time. One day, that baby who brought forth choirs of angels will once again bring forth crowds, this time of all the nations. When He returns, He shall not lay in obscurity in a stable, and His coming shall not elicit a slew of picturesque cards fit for display. Jesus Christ shall come as King and Judge of all the earth. Oh, the crowds will bow and tremble, and those who are His will rejoice. Beloved, when you turn the pages of your Bible to visit the manger this Christmas, do not stop there. Keep reading, for the story begins with "Away in a Manger" but carries through to the "Hallelujah Chorus. "1 The first advent was miraculous and glorious and essential to our salvation. The second advent will be momentous, fearsome for some, and joyful for others. The totality of what Christ has done and will do is tremendous and awesome and praiseworthy. Remember that Immanuel, God with us, came to save His people from their sins. Remember that the great I AM is the eternal One, the Alpha and the Omega, the One who created all the universe and Who will reign forever and ever. Amen. 1. A similar statement is found in John MacArthur's sermon, "Christmas Future." *This post was adapted from a post originally published in 2015.